Storm Damage in Omaha can take on gigantic proportions at times requiring professional companies with access to the type and size equipment to match the enormity of the disaster. 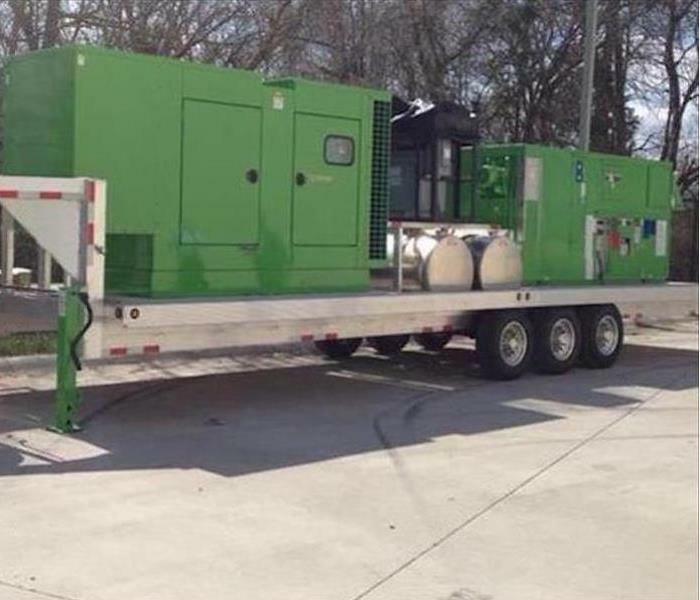 Pictured is a large trailer mounted desiccant dehumidifier employed by SERVPRO of Omaha Northwest when necessary. 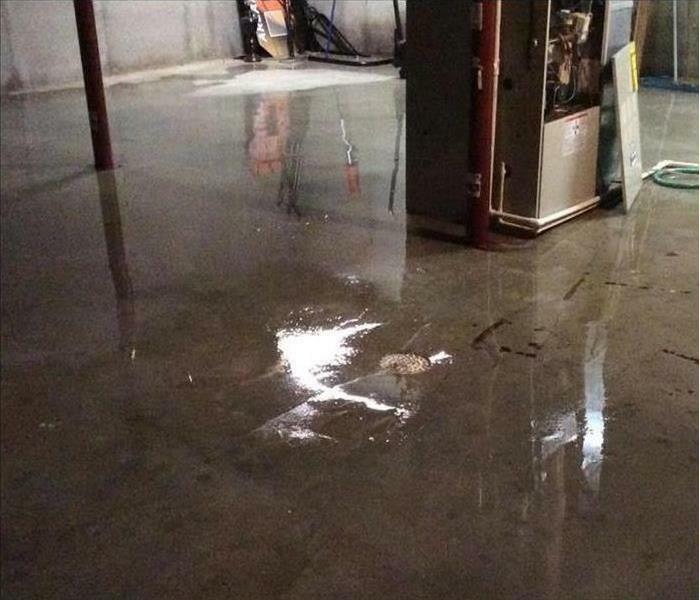 The swelling river banks inundated this basement in Omaha with several inches of groundwater. This contaminated water contained mud, debris, and possible pesticides. We removed the water with our equipment wearing HAZMAT suits and are fast service did salvage the furnace from water damage. Fire damage at this Omaha home was the result of faulty wiring in a second-floor bedroom. The fire caused significant structural damage along with a great deal of soot and smoke damage. 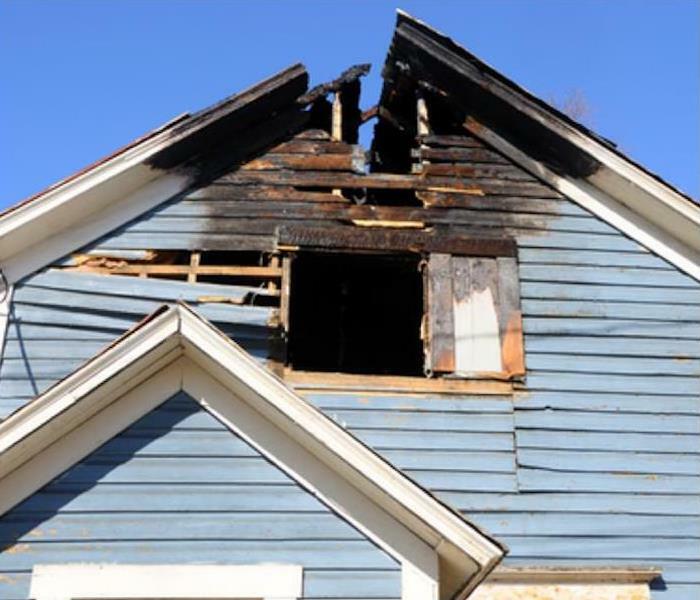 SERVPRO was contracted to remediate the entire clean up and rebuilding of this home. 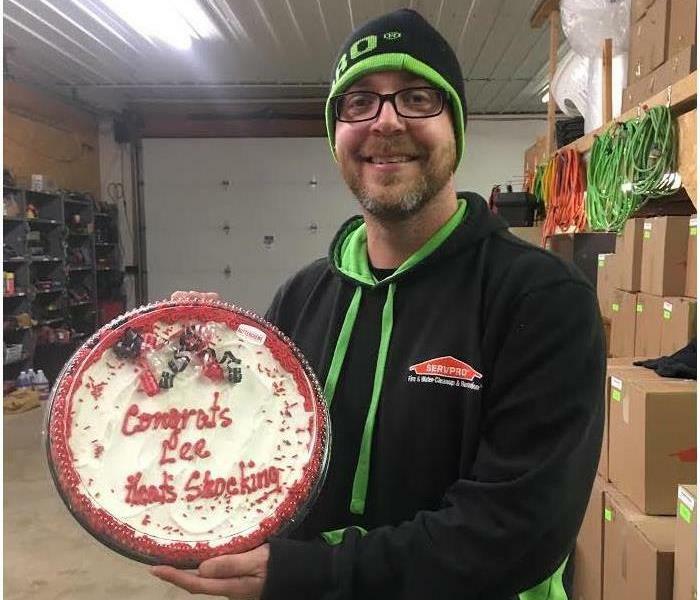 Congratulations to our Technician Lee for passing and receiving his State Electrical License. After taking his test with confidence and knowing he was going to pass he finally received word that he had done it! We are proud to have you on our team. 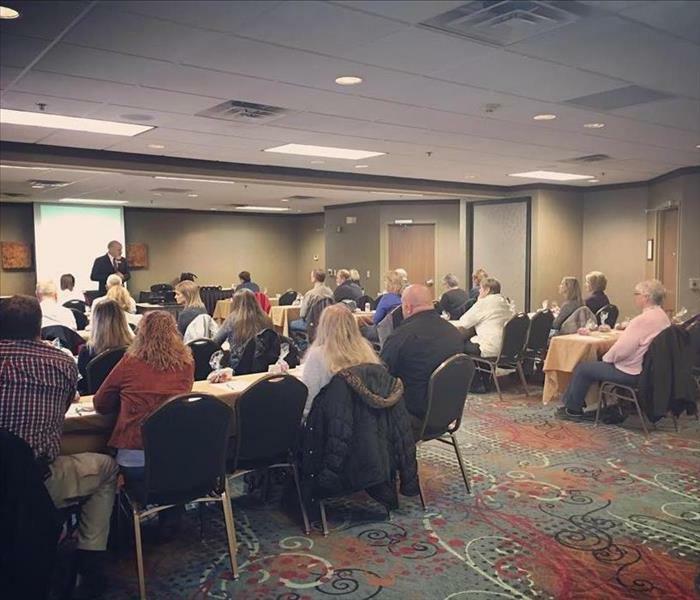 We want to thank all the participants from our Continuing Education Class in Ethics from November 2016! We also would like to thank our excellent speaker Todd Davis he did an awesome job and made the class very enjoyable and quick. 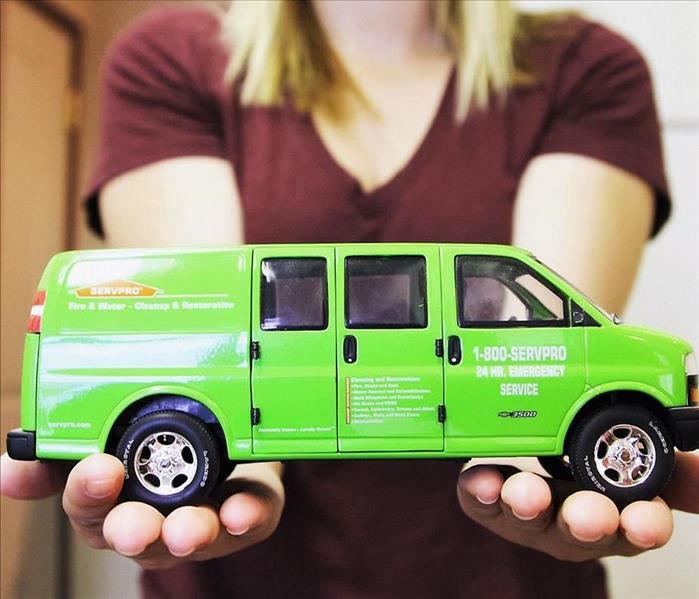 You're in good hands with SERVPRO of Council Bluffs/Missouri Valley. 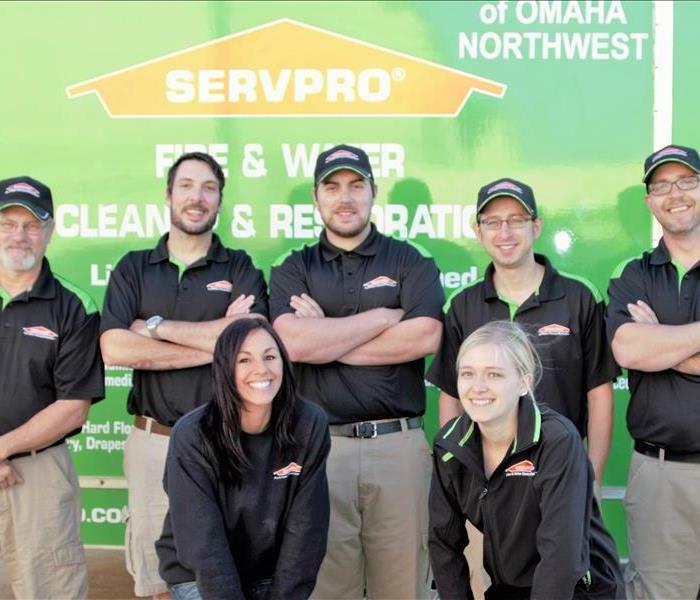 Did you know SERVPRO franchises have been around for more than 45 years, with nearly 1,700 Franchise locations in all 50 states specializing in fire, water, and mold cleanup. We are truly faster to any size disaster! The Crew getting ready for their day. From the far left we have Chuck production manager, Will technician, Katie administrative assistant, Garrett technician, Maggie marketing rep, Andy production manager, and Lee technician. "Let's go out there and care!" New Air Movers for water damage. Air movers really help to reach those hard to reach places. Typically we try to save the home owner money by doing the least amount of demolition to wet dry wall as possible by drilling holes that can be covered by a baseboard. The air movers are then placed to blow air into the holes and aid in drying out the wet content. If you see this vehicle in your area it's our Marketing Rep Mark Egge. Our green vehicles are very hard to miss with the SERVPRO original orange house with a white SERVPRO label in the middle! New dehumidifiers are a convenient size making them super portable. Dehumidifiers typically called Dehus by our production team, work by pulling air from the surrounding area that has high moisture levels. The moisture passes through the dehumidifier and touches cooling coils which pulls moisture from the air by lowering the temperature.